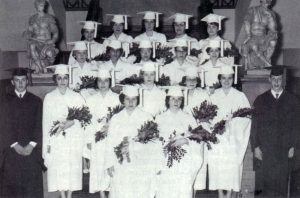 1st row: Marjorie Colton, Martha Smith. 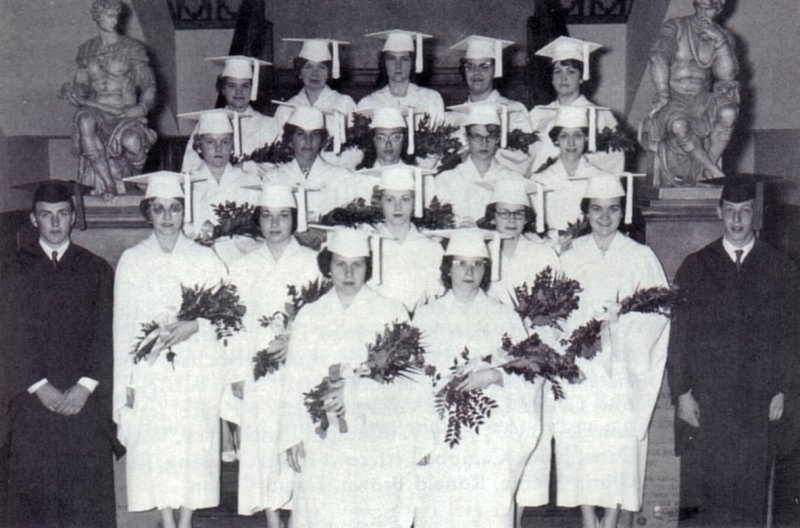 2nd row: Donald Whiteford, Janet Austin, Carol Colton, Shirley Locke, Mary Lou Fox, Rosalie Hill, Gilbert Gotham. 3rd row: Nancy Jacobs, Jeanette VanBrocklin, Clemis McBroom, Shirley Billings, Diane Wheeler. 4th row: Karen Lozo, Joyce VanCamp, Karen Wiese, Leah Rae Griffin, Levis McCollum.